For anyone who loves the challenge of Su Doku but manages to solve them within minutes, you can now enjoy the extended mental workout and ultimate endurance test of a five grid interlinked system. 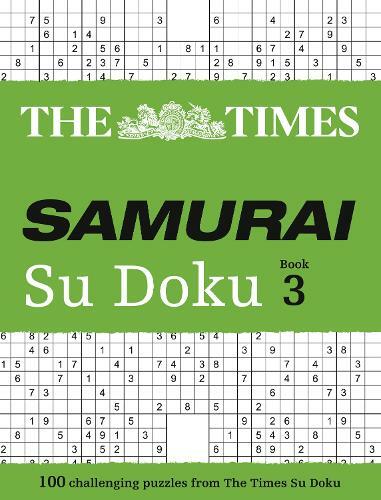 This is Su Doku multiplied: every column, row and 3x3 box must contain the digits 1 to 9. Where the puzzles overlap, the rows and columns do not go beyond their usual 9x9 length but the interlocking boxes give you more clues - and more complexity. Even the speediest of Su Doku solvers will be agonising over these ultra-complex, extended brain-teasers. These are the most difficult Su Doku puzzles in The Times range.